THE FACTS – Boulevard Neighbors was organized in March 2016 to oppose the installation by the Tres Valles Sugar Mill of a high voltatge power line to run above housing on the main boulevard of Villa de San Francisco in the Francisco Morazán municipality. No consultation was held with townspeople on the project, which does not comply with legal requirements; furthermore, it will provoke serious damage to the health of the population, especially the children. The neighbors, whose main demand is that the line run through an alternative route that bypasses the center of town, are standing guard to prevent the installation of the poles of the high voltatge line. Three times, the last being August 24th, they have been violently removed by the police, who committed different kinds of attacks against them and even threatened to take the defenders’ children away from them if they keep on with the protests. Moreover, they have received constant threats and intimidation by the Manager of the National Electrical Energy Company (ENEE), who filed a complaint with the Public Prosecutor, resulting in an injunction against ten members of the organization for the alleged offense of land usurpation. 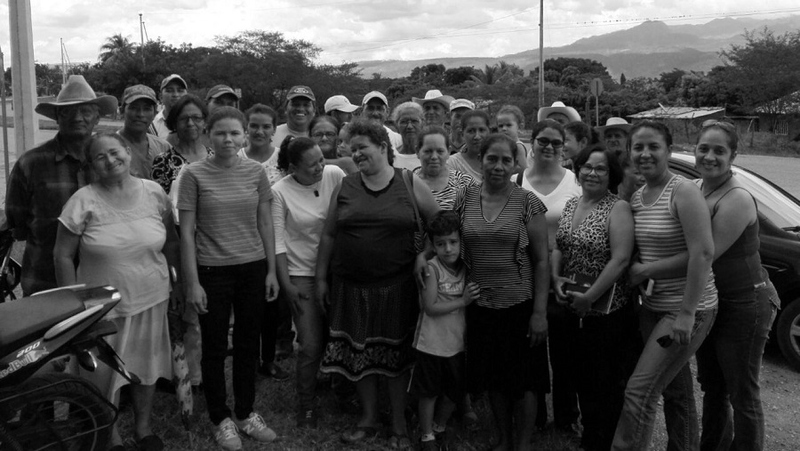 Three of the members are women: Sonia María Quezada, Concha María Elvir and Santos Esther Velázquez. 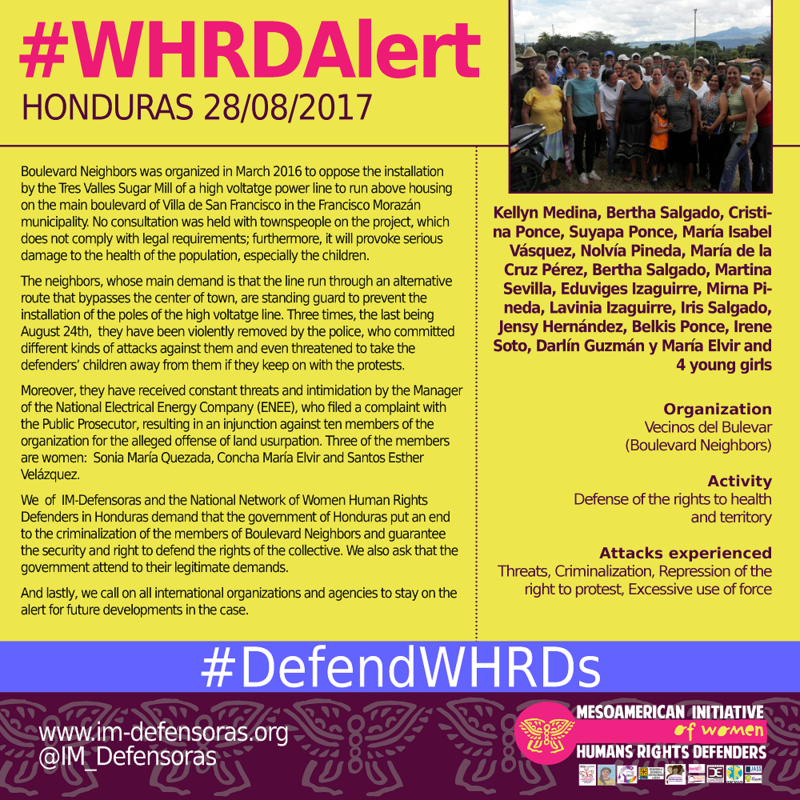 We of IM-Defensoras and the National Network of Women Human Rights Defenders in Honduras demand that the government of Honduras put an end to the criminalization of the members of Boulevard Neighbors and guarantee the security and right to defend the rights of the collective. We also ask that the government attend to their legitimate demands. And lastly, we call on all international organizations and agencies to stay on the alert for future developments in the case.